Rock & Fountain01633 400297work Restaurant with RoomsThe Rock & Fountain is situated in the Welsh countryside with easy access to Newport, Cardiff and Bristol. We have 6 executive apartments ideal for business travellers and family breaks. Each room has en suite and kitchenette. There is a restaurant, bar, free parking and wheelchair access. 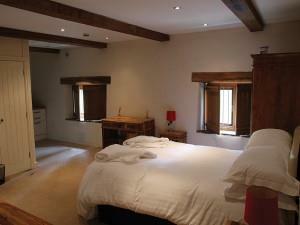 Rates are £75 per night for single, and £95 per night for double, These rates include a full English breakfast. The Rock & Fountain is situated in the Welsh countryside with easy access to Newport, Cardiff and Bristol.